3 idiots and PK director Rajkumar Hirani, who is currently directing Ranbir Kapoor in the untitled biopic of actor Sanjay Dutt, is known for his quality films which have a strong content. Close sources reveal that the movie has only 10 days of shooting left and that production is nearing a wrap. Apparently, lighting work is going on at the moment for a grand song to be shot for the next one week, starting from Sunday. It is also said that, Rajkumar Hirani and team will fly to the USA in July to capture certain exterior portions. Most of the interiors are said to have been shot within Mumbai itself and this includes a major hospital setup. Reports suggest that, this Ranbir Kapoor movie is expected to release on March 30th, 2018. However, both PK and 3 Idiots released in December and the team might try to bring this Sanjay Dutt untitled project also for December. But as per reports, March 30th looks to be the most likely option for Rajkumar Hirani and team. A certification controversy: Priyanka Chopra’s Baywatch in legal trouble! 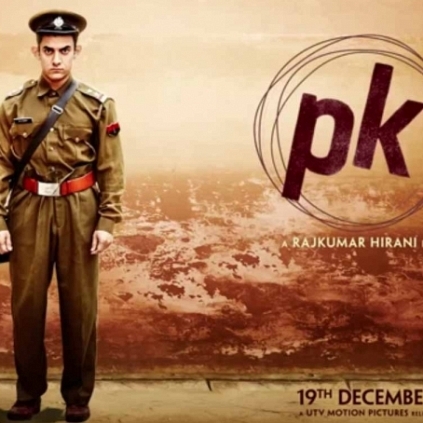 Shankar's Endorsement For Rajkumar Hirani's PK !